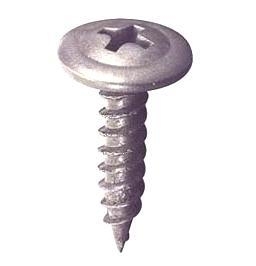 A low-profile round washer head fine thread sheet metal screw. Head diameter is about 0.420"
OPTIONS: Also available in bulk in sizes from 1/2, 3/4, 1, 1-1/4, 1-5/8, 1/7/8. 2-1/2 and 3 inch.